The holidays season has already begun. Christmas and New Year Celebrations are around the corner. To add the Jerry in the top of your celebration, Microsoft has released the new Windows 8 Theme named “Holiday Lights Windows 8 theme”. Previously Microsoft has released many Windows 8 Themes like this, We’ve shared in our past articles. You can get all those Windows 8 Themes here. 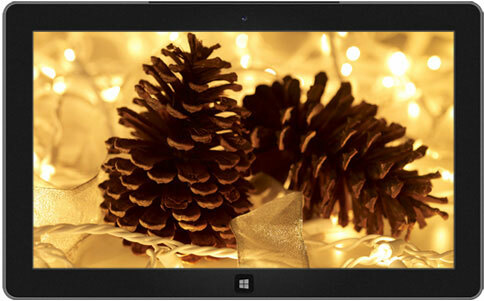 For the Holidays Season, Microsoft has created the new Windows 8 theme and released in their theme collection page. 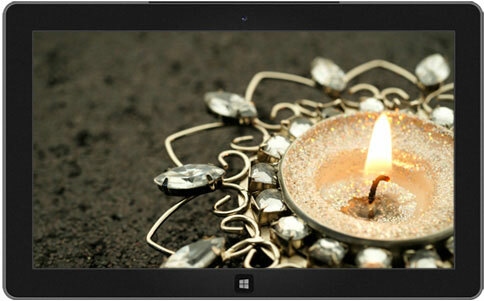 The Holidays Lights Windows 8 Theme contains 17 High Definition backgrounds and color styles for each wallpaper. All Wallpapers has contains decorative electric lights that looks stunning in the Desktop screen. Theme has the beautiful Christmas Wallpapers for 2013 and New Year 2014 wallpapers. You can download and install the theme from the Windows Theme Gallery Page. Brighten your desktop with sparkling images of holiday celebration and winter wonder in this free Windows theme. This theme can only be used in Windows 8.1, Windows RT 8.1, and in Windows 7. You can download this theme using the following direct download link.